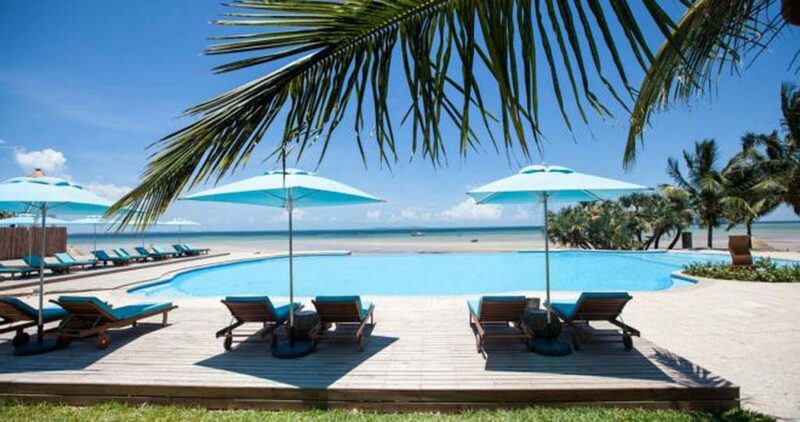 Vilanculos Beach Lodge is situated in the small coastal town of Vilanculos in the subtropical province of Inhambane, Mozambique. 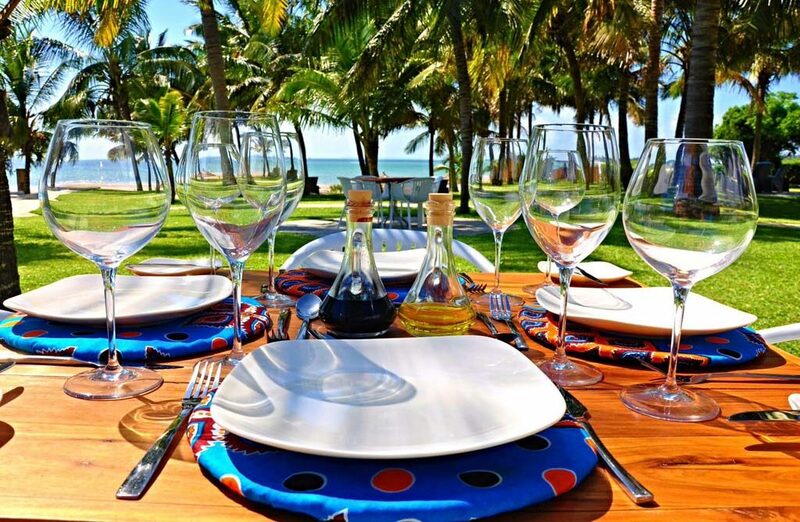 Vilanculos lies 780 km north of the capital Maputo and 500 km south of Beira and is the gateway to the Bazaruto Archipelago. 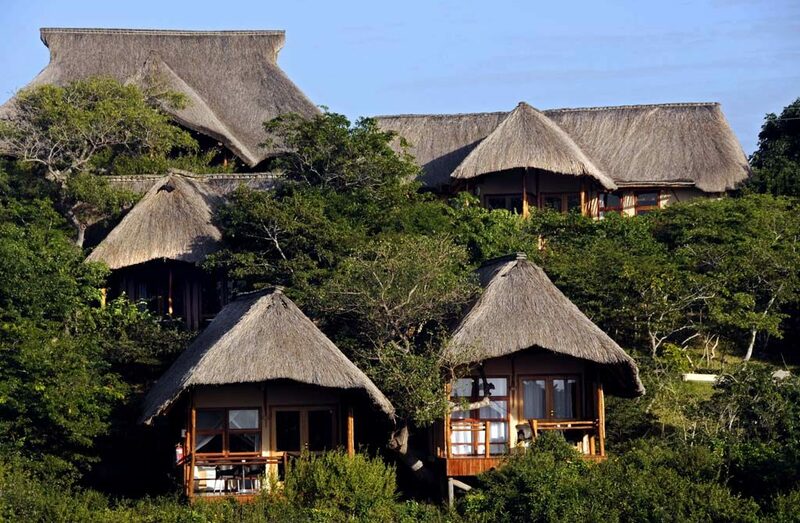 Vilanculos Beach lodge is constructed from natural indigenous elements of thatch and local hardwood simbiri poles which have been combined in perfect harmony with plaster walls, wood frame doors and windows. The result is the relaxed yet elegant finish. The property extends right on to the beach and the lodge buildings are set back about 100m up the ridge, overlooking the sea. 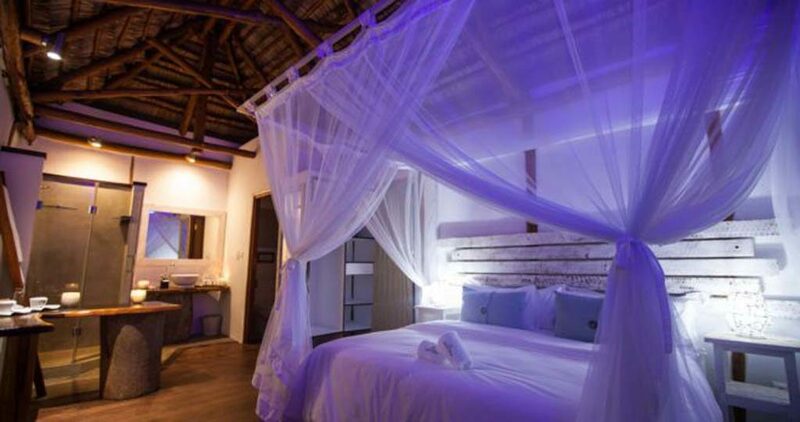 Accommodation at Vilanculos Beach Lodge 22 Standard Chalets All chalets echo the tranquil colours of the beach and are superbly comfortable and well appointed with crisp white linen, duvets and cosy woollen throws. All chalets are fitted with separate air conditioning, mosquito nets, shaver plug points, electronic safes, mini-bar fridges and tea / coffee stations. Chalets are available with private patios or sharing for families Presidential Suite Is set at the apex of the property and built on stilts with two en-suite bedrooms, a comfortable open plan lounge and bar as well as a spacious covered patio. The air-conditioned rooms are spacious and comfortably appointed with crisp white linen, duvets, cosy woollen throws, mosquito nets, desk, arm chairs, luggage racks and an electronic safe. Small Conferences at Vilanculos Beach Lodge Vilanculos Beach Lodge is proud to offer you a unique opportunity for hosting that private, top level conference for senior and key personal Attached to a luxury 24 room lodge, the facility can comfortably seat 40 in theatre style and 30 in class room style, in a well-equipped and air conditioned venue Contact us for fully inclusive conference packages.